At Engle Automotive you'll find a complete auto repair service center including: Brake Repair, Transmission or Engine Repair or Replacement, Air Conditioning service, Shock & Strut Replacement, Wheel Alignment & Tune-ups and Diesel Emissions. As a family owned business, we understand the importance of safety in family vehicles. Every new car on the road is more technologically advanced than the last one. That's why you need to have your car serviced at our auto repair facility in Loveland, Colorado which keeps up with the latest technological advances. Fortunately, you've called Engle Automotive Auto Repair Shop in Loveland, Colorado. Our ASE certified master and L1 technicians are always up-to-date on the newest procedures and modern technology, and can expertly service your import or domestic car, van, SUV, or light truck using our state-of-the-art computer diagnostic equipment! Engle Automotive performs all types of auto repairs for cars, trucks, SUVs, RVs, and diesels except body work. In addition to general auto repair service, we also offer Diesel Services, and Vehicle Fleet Maintenance Services. Please see our vehicle repair services listed below. For appointments or estimates call (970) 635-9760." Engle Automotive now offers the NAPA EasyPay Credit Card which is 6 months no interest on qualifying auto repair purchases. 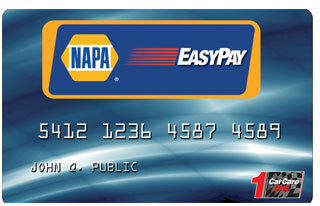 The NAPA EasyPay Card also extends your auto repair warranty, ask our service advisors for more details or how to apply! Now its easy to get your auto repair services in Loveland, Colorado. 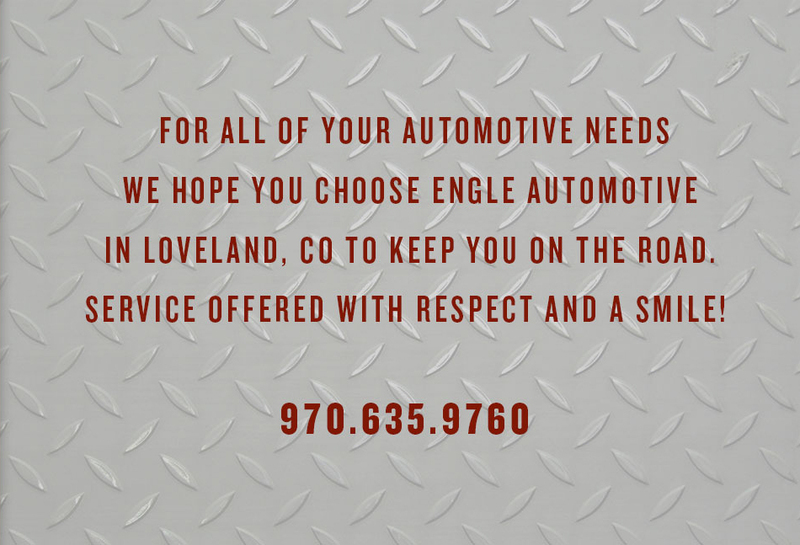 Our auto repair shop has knowledgeable Service Advisors, Josh, Travis or Abraham will be happy to provide answers for all your auto repair needs.To schedule a Loveland auto repair appointment or ask questions please call or Contact Us.